5f-PV-8 (crystal) is a research chemical that has a psychostimulant action. The formula of the substance is C17H24FNO and the molar mass of 5f-PV-8 is 289,351 g/mol. It looks like a brown crystal. The IUPAC name of the drug is 1-(4-fluorophenyl)-2-(pyrrolidin-1-yl) heptan-1-one. The purity of the compound is impressive – 99.7%. 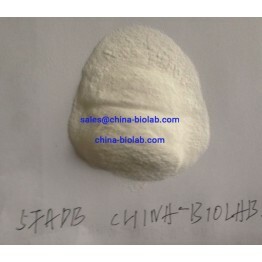 You can buy 5f-PV-8 (crystal) form on our website china-biolab.com. The biological and toxicological properties of 5f-PV-8 (crystal) haven`t been properly studied yet. The researches of this novel compound are still being conducted. For this reason, 5f-PV-8 (crystal) is not intended for human or animal use as it may possibly lead to lethal cases. The only possible application of this substance is forensic and scientific research. You can find 5f-PV-8 (crystal) for sale on our website. Nevertheless, before you order this highly potent psychostimulant, you should get to know if it is not forbidden in your living area; learn its properties and precautions for usage. Every customer should be aware that 5f-PV-8 (crystal) is a controlled substance in a number of countries. One should be very careful with this drug and responsible for his or her actions. 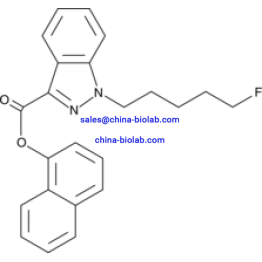 It is rather difficult to buy 5f-PV-8 (crystal) online as it`s a new drug, but our online drugstore offers you a great choice of designer drugs including 5f-PV-8 (crystal). We are a reliable and trustworthy company selling high quality products on the best terms. We are ready to deliver your purchase within the shortest time. Moreover, you can choose the method of payment, which is convenient for you. In addition, you can order 5f-PV-8 (crystal) online at one of the lowest prices on the market. Choose us and we won`t let you down.